The Standing Stone: Little Curragh II, Barrow, Co. Kildare. Little Curragh II, Barrow, Co. Kildare. 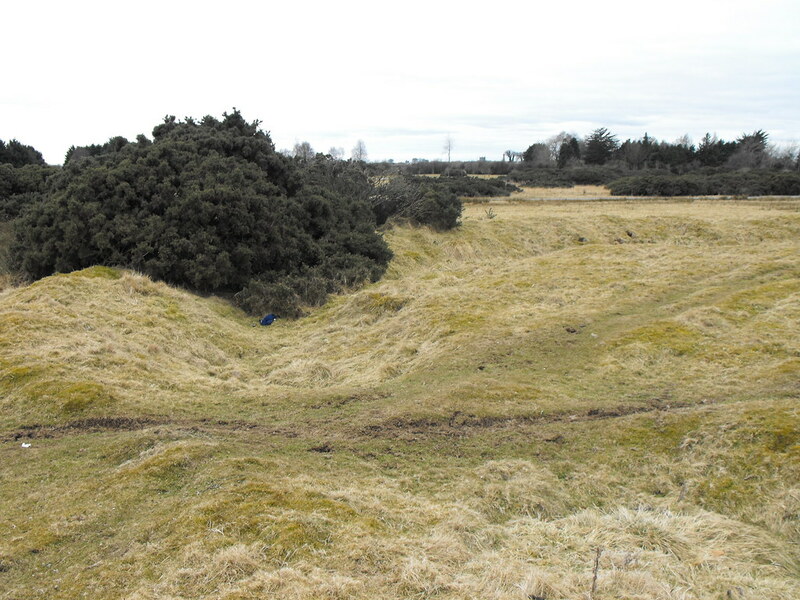 Location – Wedged between two giant military earthworks this can be tricky to find. Don’t get distracted by them. 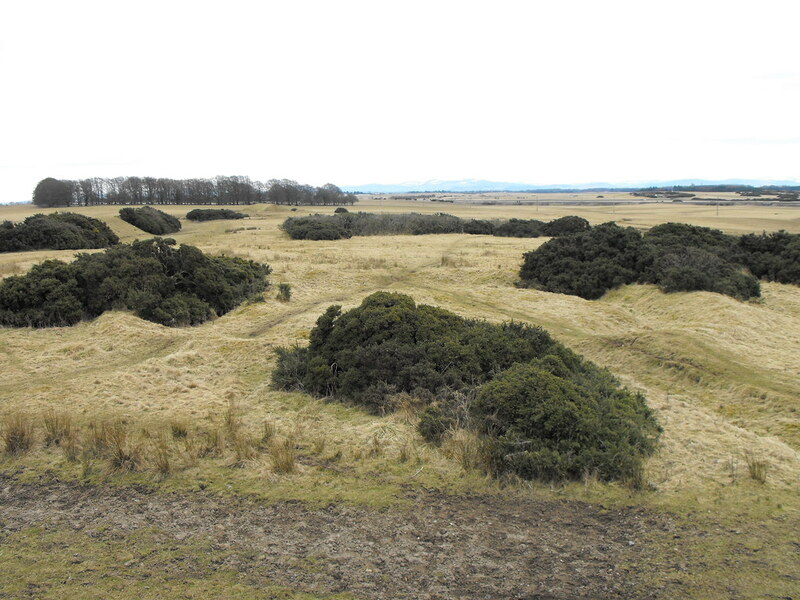 Description and History – This ring barrow is the most damaged of the ones I saw upon my visit and it was also one of the largest. The building of the military earthworks right beside this barrow has damaged it and parts seem to have been dug into including one trench across the entrance. The bank and fosse are well preserved in places and this would have been very impressive in its heyday. It is also quite overgrown in places. 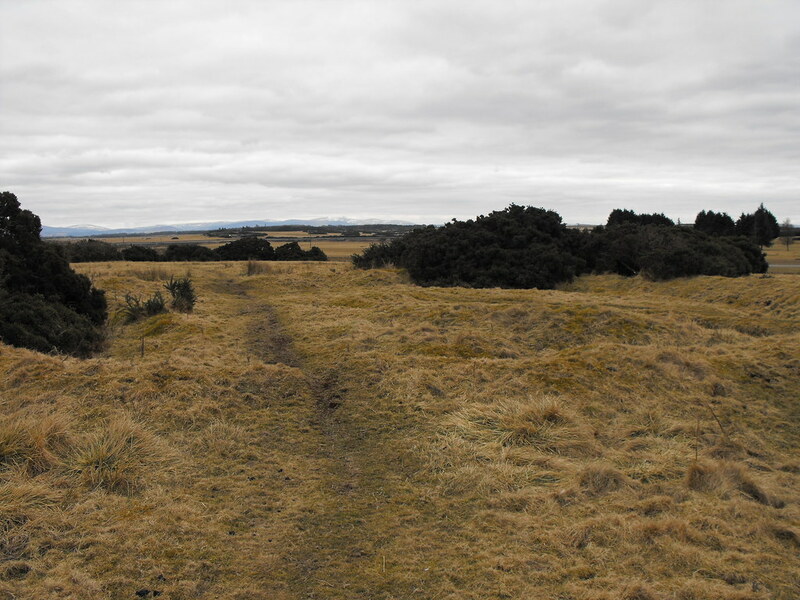 Difficulty – It’s a little boggy in places around the barrow but easy enough to find if you don’t get distracted by the huge military earthworks. For Little Curragh III, click here. You can make out a circular area here although it is very damaged. It seems there are a couple of frequently used paths that intersect here.